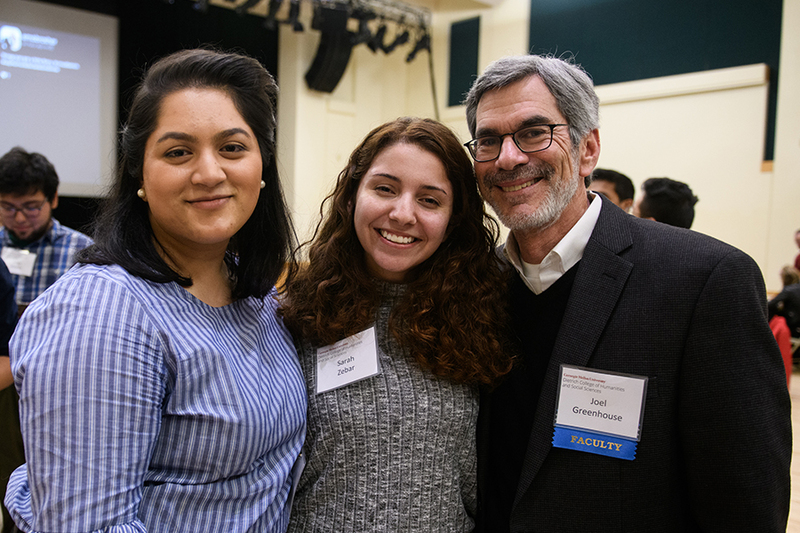 The first-ever Dietrich College of Humanities and Social Sciences’ Sophomore Declaration Dinner took place this spring to mark the students’ halfway point in their undergraduate careers. 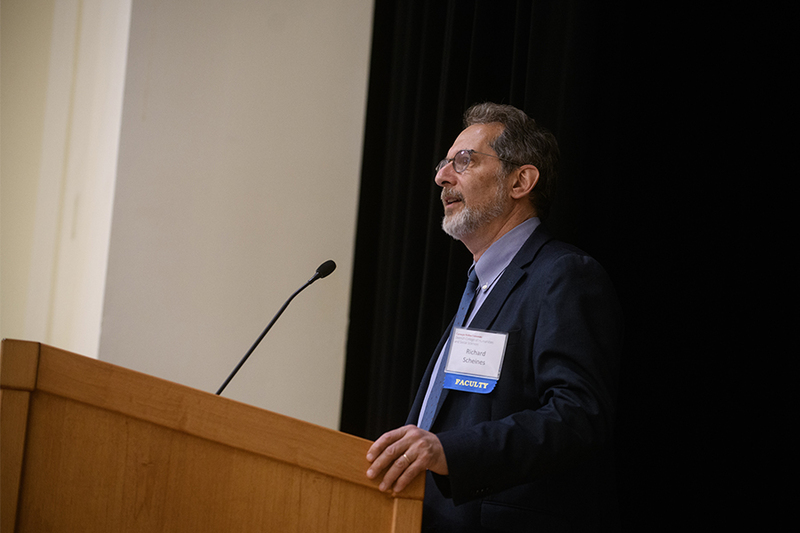 From classes on neuroscience, ethics and artificial intelligence and behavioral economics to classes on the rhetoric of climate change and Spanish and French culture, Dietrich College Dean Richard Scheines encouraged students to continue taking advantage of the interdisciplinary opportunities within the college. “So you’ve made it halfway. You’ve proven you belong. You have two years left, make the most of them. Go abroad, do research with one of our great professors. Dietrich College is on the rise in every way,” Scheines said. 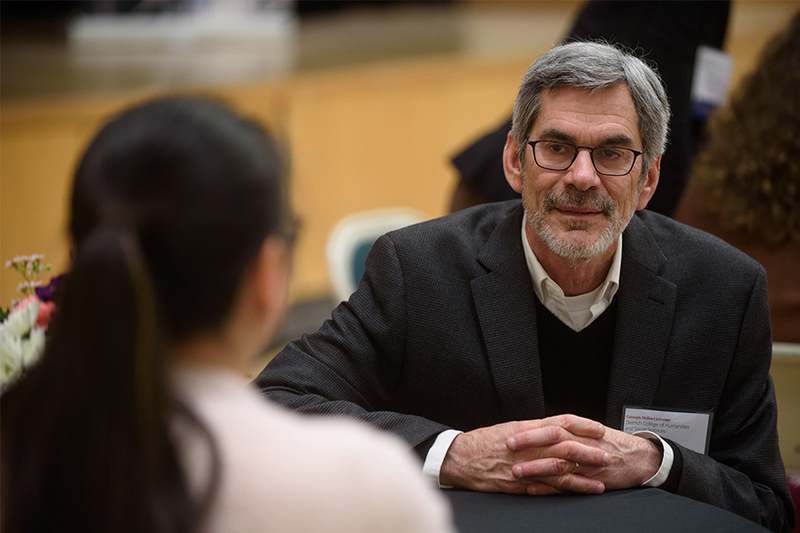 The idea for the Sophomore Declaration Dinner came from Joel Greenhouse, professor of statistics and data science. 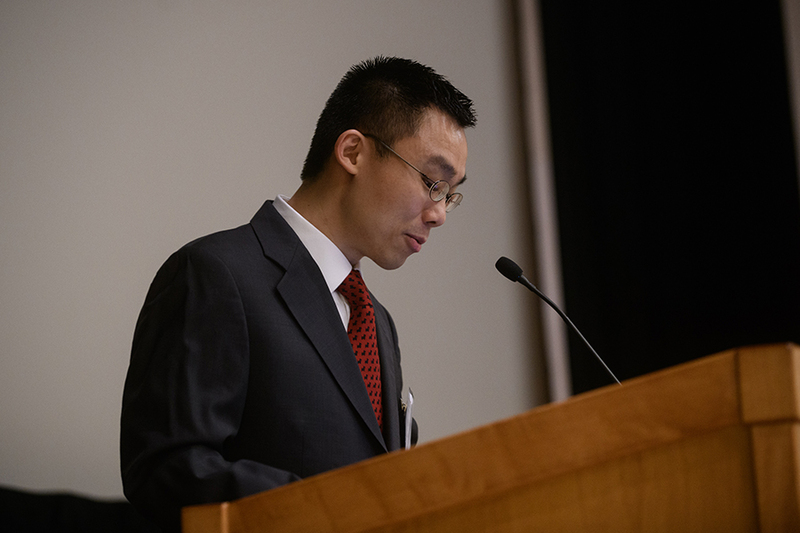 Assistant Professor of History Ricky Law delivered the keynote address. “An education from the Dietrich College doesn’t just help you develop a skillset, it helps you develop a mindset. As artificial intelligence and automation play a bigger and bigger role in our society, I’m convinced that there will be a premium place for workers who can speak, act and think humanly,” Law said. 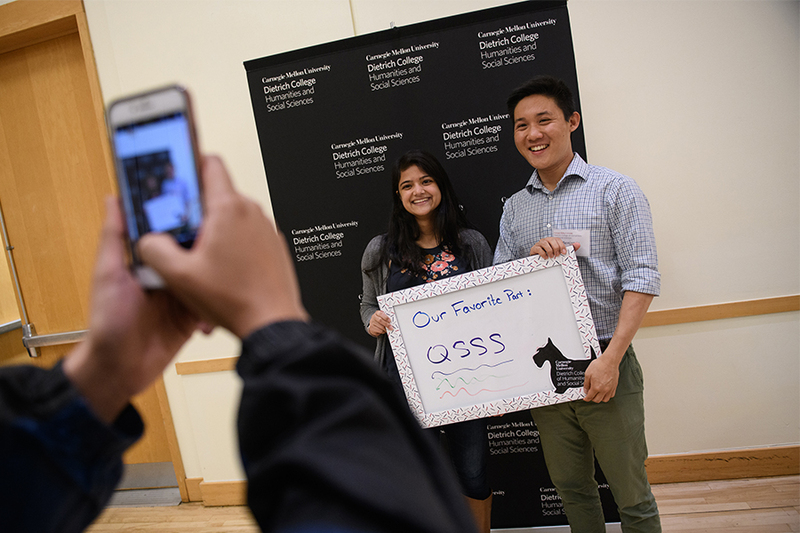 Fun photo stations were available for students to show their Dietrich College pride by writing down their declared majors and favorite parts of being a student in the college. Sophomore Shreya Nandi, a member of the event planning committee, was excited to spend a night with the Dietrich College community. 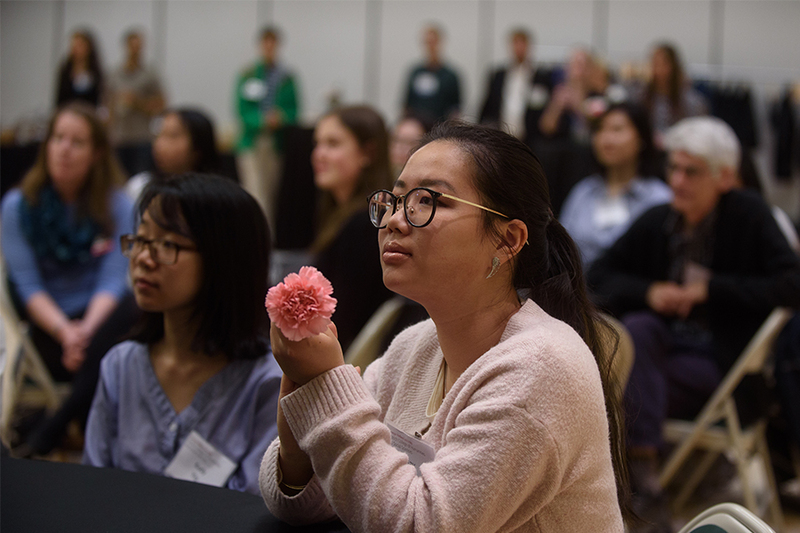 "Having this event meant celebrating a cohesive Dietrich College identity where appreciating one discipline doesn't mean taking away the spotlight from another discipline,” said Nandi, who has a primary major in economics and an additional major in international relations and politics. 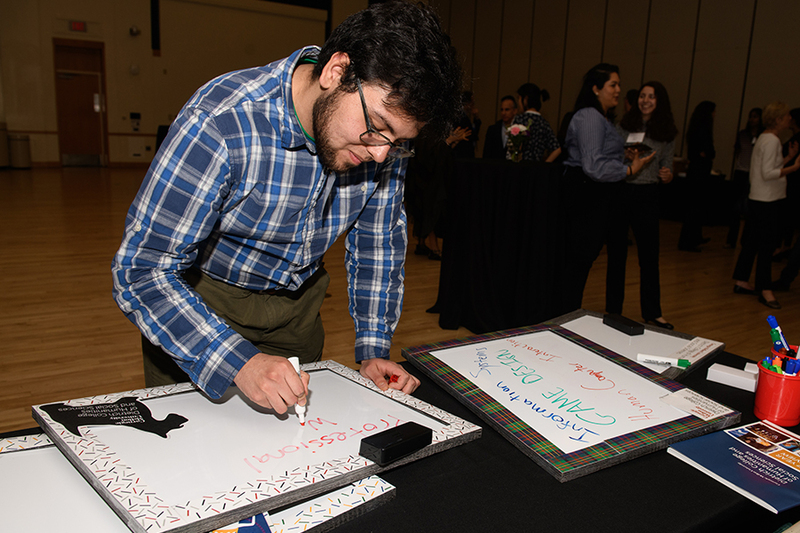 Jorge Alvarez, a primary major in professional writing with an additional major in social and political history, attended the dinner to show his Dietrich College pride. "I am a Dietrich College student because of the college's vision of being a hub for innovation,” Alvarez said. “In today's technological society, we need to study the humanities to celebrate the beauty of the human condition. Dietrich College moors our understanding of the world through our human senses." 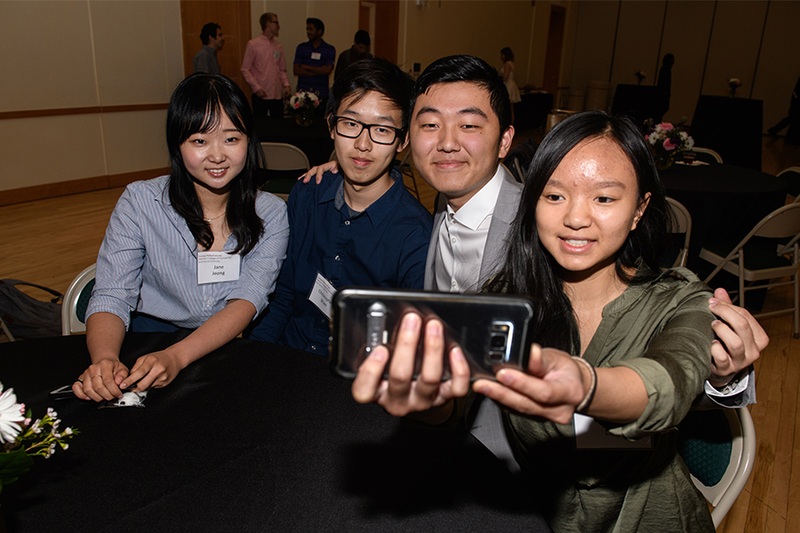 Students from all academic disciplines in the Dietrich College joined their favorite faculty members for a night of celebration.